China is one of the world's most important apple producers and exporters. 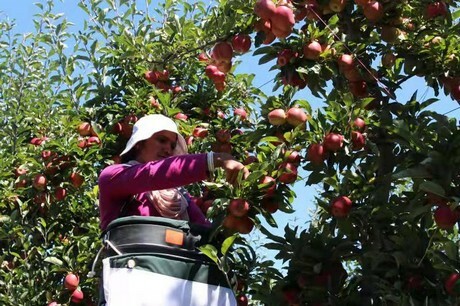 The apple production volume in China decreased last year as a result of extreme weather conditions, and the retail conditions for imported apples on the Chinese market consequently improved. New Zealand is one of the countries with permission to export apples to the Chinese market and their apple production season has just begun. 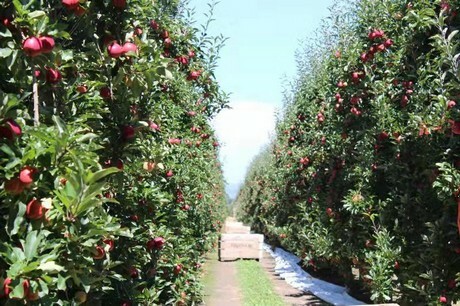 "New Zealand apple exports to China have a long history and market feedback shows that New Zealand apples are quite popular with Chinese consumers. 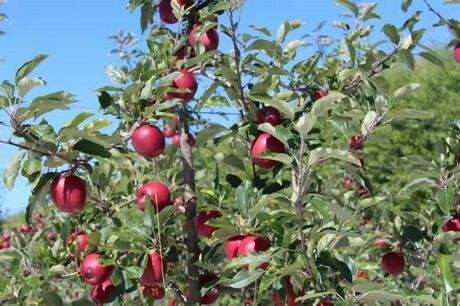 The weather has been extremely suitable for apple production and the volume is expected to increase this year. 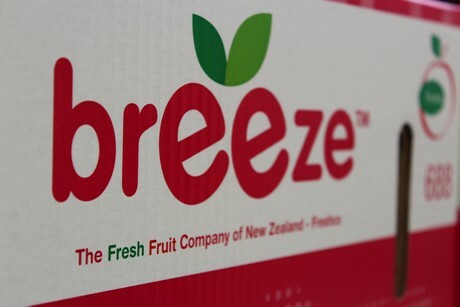 The earliest apple in the New Zealand apple production season is the Breeze apple, with a production season that begins in March or April. 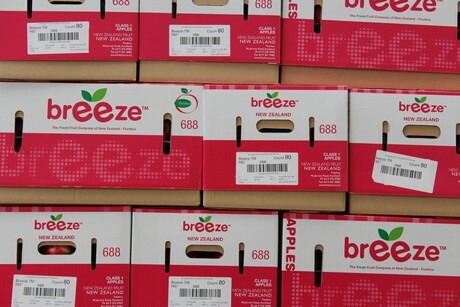 The Breeze apple has a relatively high sugar content and is crisp with a bright red skin. This company predicts an overall production volume of 60-100 containers from New Zealand. These apples mainly target high-end chain stores and supermarkets. 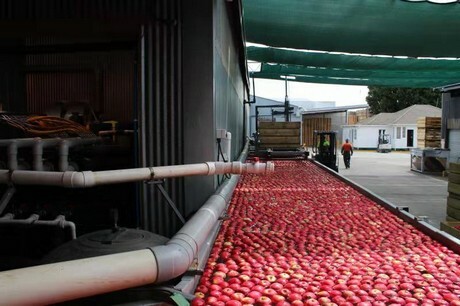 The first container of apples was expected to leave NZ on March 3rd. Although the price of New Zealand apples is slightly higher than Chinese apples, their quality is also higher, their flavor is excellent, and there is a greater product variety. This strengthens their market position and competitive advantage in China," explains Zhang Qian of Golden Garden. "Almost all apple orchards in New Zealand use dwarf fruit trees planted closely together. Each tree generally has an area of 3.5 by 2 meters, although in some orchards the fruit trees only have an area of 3 by 1 meters. The shape of the trees is kept simple for easy access. "The success of this system is further improved through an integrated production chain that includes pre-harvest, harvest, and post-harvest processing. When the apples reach a certain degree of ripeness they are all harvested at the same time, and then processed through selection and packaging. 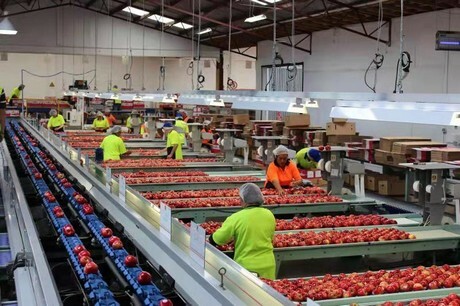 Product quality surveillance technology separates the apples based on product quality, which is how we guarantee that New Zealand apples are exported under the most optimum conditions and arrive on the market at the most suitable moment." Golden Garden is a specialized supplier that delivers top-quality products and transportation services to traders. The company has more than ten cooperatives in China and abroad. For example, Navel orange orchards in Gannan, strawberry farms in Dandong, cherry orchards in Yunnan, mango plantations in Australia, and cherry orchards in Chile. Golden Garden mainly delivers to wholesale markets, fruit chain stores, large-scale supermarkets, e-commerce platforms, and community stores. "Breeze will hold an online press conference on March 12th, and invites traders to join"